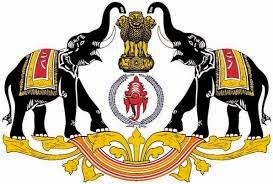 Kerala Polytechnic Time Table 2016: The Kerala Diploma Time Table April 2016 is now available for download from our www.indiagrade.com website. The Kerala polytechnic exam notification is released by Board of Technical Education, Government of Kerala site www.tekerala.org. Candidates who all are interested can download the upcoming semester examination time table as a pdf format through the internet. The diploma examination in Engineering, Technology, Management, Textile practicals exam are starts on March 2016. All S1(Semester I), S2(Semester II), S3(Semester III), S4(Semester IV), S5(Semester V), S6(Semester VI) exam time table is given in different source link for students preference. Candidates need to pay examination fee for the written exam conducted in April and October month. The Directorate of Technical Education is every year organize the diploma exam in April(Even semester) and October(Odd semester) month. The Revision 2010 scheme date sheet is given in our portal. The duration for the diploma/polytechnic examination is 3 hours. The practical exam is conducted by respective colleges before or after the theory exam over. You can get the result date in our result.indiagrade.com site. Candidate may download the polytechnic exam admit card few day before the regular examination commenced. Indiagrade request all the students to get the exam hall ticket while coming to examination center. No one will not allowed to attend exam when they don't bring diploma admit card 2016.